customers who are doing good work for their communities and the world. Grainger aims to help businesses that help change the world. 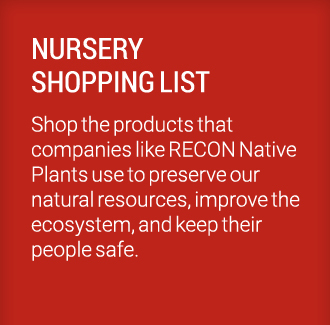 At RECON Native Plants, it's not just about growing plants, it's about growing the right ones. As California's drought concerns continue and climate change poses a greater threat, ecologically viable native plants are more important than ever. In this episode of Working Better by Grainger™, see how a small nursery in San Diego is growing quality plants the way Mother Nature intended. Managing 40 employees across 30 acres is tough enough; ordering the right supplies shouldn't add to the burden. We sat with Sylvia Gonzalez to discuss how Grainger's effortless ordering & expertise make everything easier.